Campeggio Vrachos Kastraki si trova a Kastrákion, Tessaglia. Questo campeggio dispone di piazzole sia ombreggiate che e piazzole poco ombreggiate. È possibile affittare tende, roulotte, chalet e stanze. Il campeggio dispone di un campo sportivo. Ogni anno un ispettore visita il Campeggio Vrachos Kastraki, controllando oltre 200 tra attrezzature e altri punti di interesse del campeggio. L'ispettore è un dipendente ACSI e non lavora per il campeggio. Lepo urejen kamp za grške razmere ! Recepcija zelo prijazno osebje . WIFI samo na recepciji ! Hrana zelo dobra vendar samo ob večerih ! wonderful stay and only a short walk to the Meteora monasteries. lovely hot showers on the super toilet blocks. Soap and toilet rolls always replenished freely. BBQ and loads more free extras. Such value indeed. There are only 2 campsites open at Meteora/Kalambaka in winter. This is the best, though still a poor choice. Only a small part of the site was open and the two new toilet & shower blocks were locked. There were just 2 old toilets and 2 small grubby showers open for the few winter campers. We had to ask for the boiler to be lit for a shower and there was no other hot water. A loose dog ran round the site barking most of the time. The WiFi only worked at the restaurant, which was not serving food, though there were places to eat nearby. Only the proximity to the Meteora Monasteries can explain the price. I chose this site for its proximity to the Meteora monasteries, which are very easy to reach from Kastraki. There was a friendly welcome on arrival and guests are directed to look around the site and select whatever pitch they prefer. The pitches were of a good size, with plenty of room to park a vehicle next to the tent. I particularly enjoyed the cafe/restaurant, spending several hours there to use the wifi, drink a few beers and enjoy their tasty food options. The only downside for me was the crowing of neighbouring roosters very early in the morning, that woke me up earlier than I would have liked. Certainly well located for the trip to the monestries etc. The bus stop is at the front entrance to the camping park.The park is deceptively large with very generous pitches.Plenty of shade on all sites as well.thoroughly recommend and the restaurants,shops,bakery etc in Kastraki ..are all only a few minutes walk.Also a very pleasant and friendly welcome on arrival which is appreciated. The pool is a great refreshment after a long driving, visit to monasteries or trekking bellow the monasteries. Really clean and new bathrooms (the only toilets on our travel accross mainland Greece where throwing paper into baskets has NOT been requested! ), shady camping places. Realy calm places are a bit further from the reception. Nothing in the ACSI information matched. There was a grumpy reception, the wash facilities had no hot water so everyone had to share 2 old and dirty cubicals, one of which had no light. The mini market was empty. The pool was empty. There were no signs to indicate safe drinking water. The only part that the ACSI inspector got right was the present on leaving, a book on Greece only available in German or Greek and so old it was faded, plus no use to most people. There only thing this site had correct is its proximity to Meteora. Great site with nice view to the cliff. The place is clean and in the best location in the area for traveling in Meteora. Volete prenotare il campeggio Campeggio Vrachos Kastraki o oppure saperne di più? Potete farlo usando i seguenti dati oppure tramite il sito del campeggio. Dopo l'arrivo a Kalambaka prendere la strada per Kastraki. Il campeggio è circa 1 km avanti, sulla via per le Meteore. 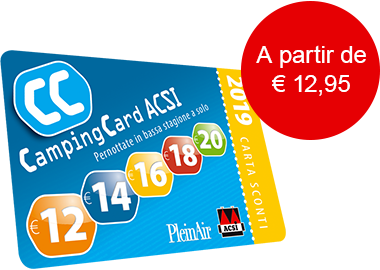 Camping accanto fermata autobus. ACSI Eurocampings invia la tua richiesta di informazioni al "Campeggio Vrachos Kastraki".